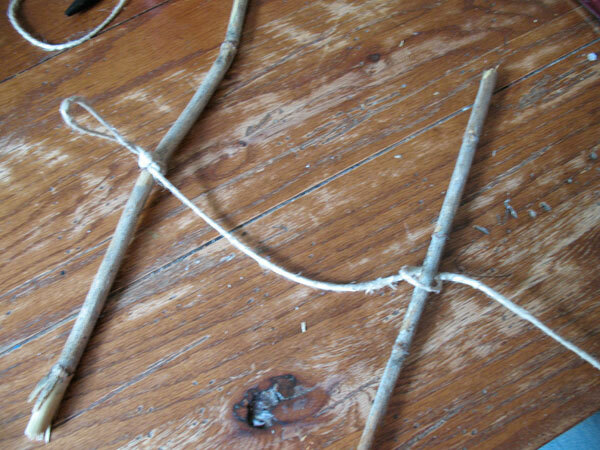 Without cutting the twine, tie a loop around the center of one of the twigs. With the long piece remaining, tie to the center of the second twig then trim off the excess. 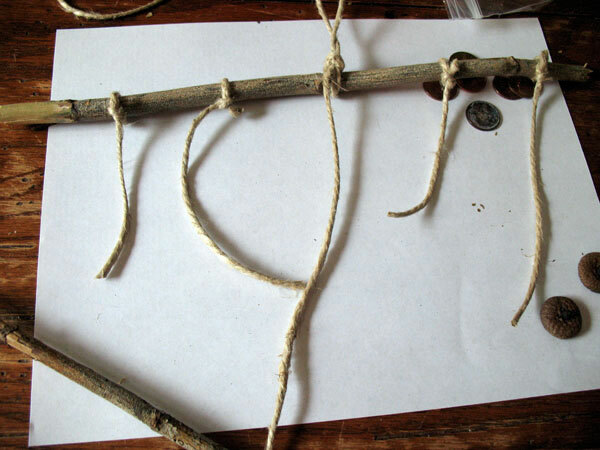 Tie twine around the end of the top twig. Once tied, then cut to the desired length. Doing it this way will reduce any waste that might occur from cutting pieces too short accidentally and finding out after you’ve tied them on. 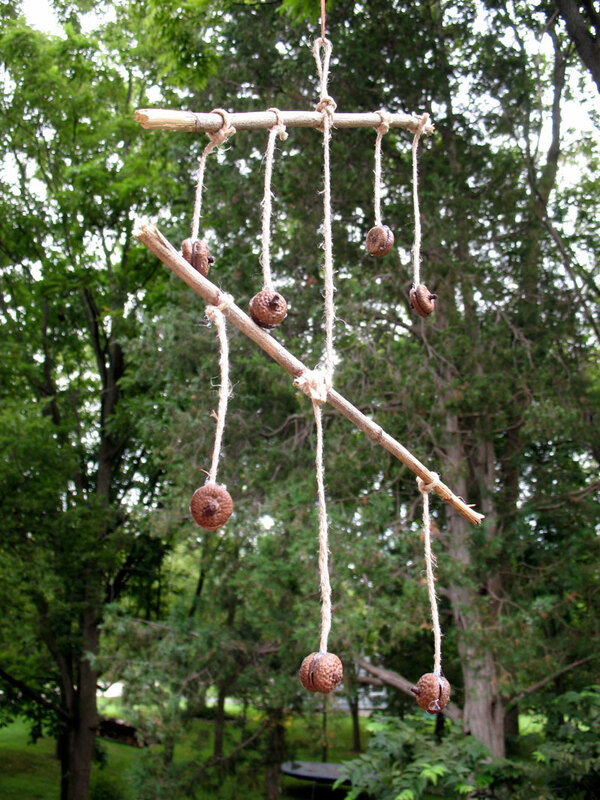 Continue this process until you have four pieces on the top twig and three on the bottom. 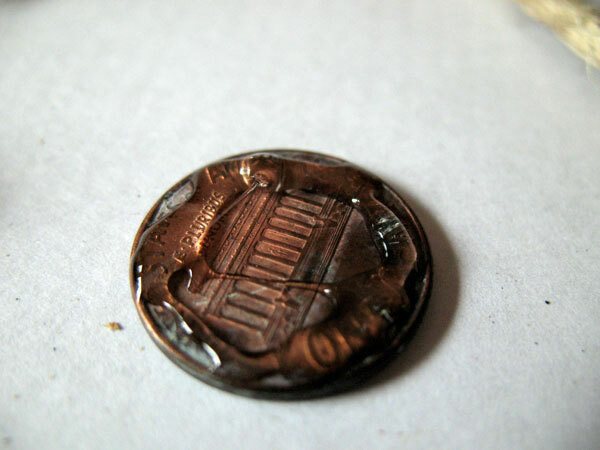 Add a layer of glue to a penny and press an acorn top to the glue. Grab the acorn top and turn it upside down, exposing the penny on the other side. 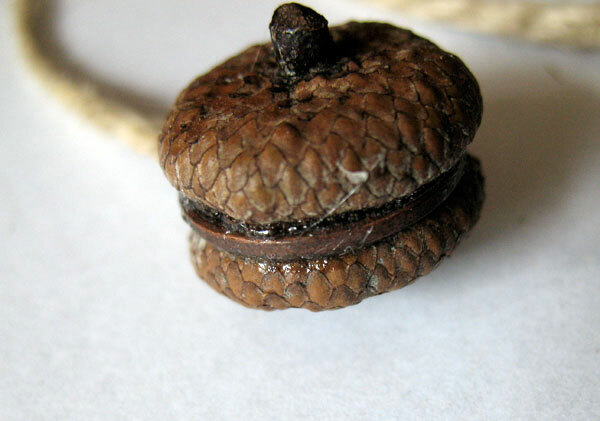 Add glue to the exposed penny, then lay one of the pieces of twine into the glue and press a second acorn top onto the exposed penny and twine. This will sandwich them together. When finished, trim any excess twine and dot some glue around all the knots of twine. Tip: You can use instant grab glue for this project, however it will take longer for the glue to grab. A hot glue gun should be used with adult supervision.